Oil prices surged this week on the back of falling U.S. oil production and the growing rumors that the Doha summit between OPEC and Russia could end up with a successful deal. 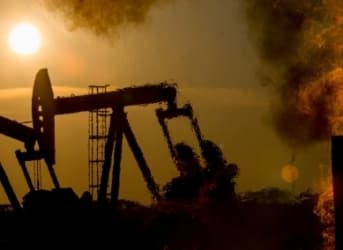 According to Russia’s Interfax news agency, on April 12 Russia and OPEC reached a consensus on the oil production freeze, ahead of the April 17 meeting in Doha. Oil prices surged more than 3 percent on the news on Tuesday, standing just shy of their highest levels for the year, although prices fell back on Wednesday. Meanwhile, several of the key participants are not necessarily reining in their ambitions. Saudi Arabia has ramped up its rig count since 2014 in an effort to develop new oil fields. The number of oil rigs has jumped from 58 to 67 since 2014, and gas rigs have climbed from 35 to 60 over the same time period. Saudi Arabia is deploying more rigs in an effort to develop new fields or expand existing ones. Although separate from any negotiation with OPEC and Russia, Aramco is looking to develop the country’s shale gas resources, hoping to double natural gas production to 23 billion cubic feet per day within ten years. Kuwait is also working to increase oil and gas production. Kuwait is set to offer contracts to offshore rigs so that it can drill in the Persian Gulf, eyeing six offshore projects. The OPEC member is hoping to boost production from 3 mb/d to 3.165 mb/d. By the end of the decade, Kuwait is targeting 4 mb/d. The UAE, another OPEC member, is planning on boosting production from 3 mb/d to 3.5 mb/d by 2017. This raises questions about how these countries can agree to a production freeze on the one hand, while ratcheting up their drilling efforts on the other. Another way of looking at the strategy is that Saudi Arabia and other Gulf States are hoping to hold onto market share by pushing out higher-cost production. That is not breaking news, but with non-OPEC production falling – particularly in the United States – and demand set to rise, Saudi Arabia and its peers will need to step up production if the world is to have enough supply several years from now. An estimate from Wood Mackenzie from earlier this year found that around $380 billion worth of major oil and gas projects have been scrapped because of low prices, which could result in nearly 3 mb/d of new supply that won’t come online. Somehow that deficit will need to be made up if the world will continue to see demand grow at more than 1 mb/d each year for the rest of the decade. By drilling today, Saudi Arabia could be positioning itself to meet demand 3 to 5 years down the road. Could be that Saudi's scrambling. Their biggest field, which probably still accounts for about 50% of crude production, has a good chance of being in decline. Also hints at their moves moving up the product chain. Even in Saudi, cheap oil might be getting harder and harder to find and get out of the ground. Pump it like it's going out of style! Could it be that the Saudis are more wary of tight supplies than an over supplied market? Why? High prices spur investment in wind, solar, batteries and EVs. These investments hasten the obsolescence of oil, while the Kingdom sits on hundreds of billions of barrels in reserves. If the oil price stay low, Saudi fail in 2018, ¥€$ He Can ???? The Saudis oil fields are in the decline. They are playing the market and other countries to think it can pump forever. They're struggling to diversify their economy from oil base to something more destructive that only the crown prince can lie about. Russia and other Middle East countries have over produce the Saudis oil fields that make them very frightening. There will be no IPO of any useful bits of Aramco, because if there was folks would find out how badly mismanaged their reserves have been handled. Back in the early 80's they could pump over 11m bbl of oil / day. Today, despite a massive drilling campaign over the last 30yrs, it is just over 10m bbls / day.